For many years it feels like every single surfer is going to Bali, as soon as the season “starts”. But with the first raindrops coming at the beginning of the northern hemisphere autumn, people disappear. It’s not like Bali has no waves for the next 6 months. Just smaller, less frequent, and less off-shore wind for Uluwatu, Padang Padang, and the famous west coast surf spots. But let’s move an island to the east. Lombok opened a few years ago an International Airport what makes it very easy to come here. And as you won’t stuck in traffic like in Bali, you’ll make it to your hotel in South Lombok within less than 45 minutes. 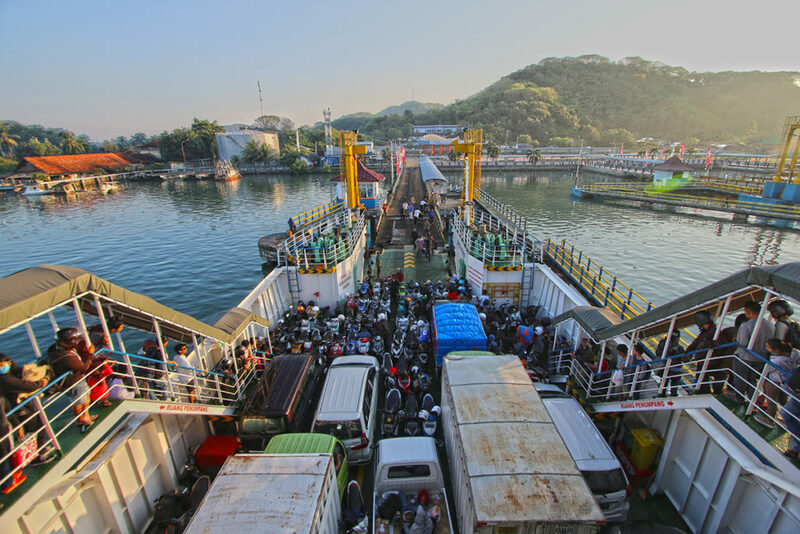 If you decide to go to Bali first nevertheless, you can take the ferry from Padang Bay. Easy. I usually take it in the middle of the night (it runs every hour), and sleep on it. 4-5 hours later, when it reaches Lombok, the sun is about to rise, and I’ve got already the whole day to enjoy. If you want to surf Lombok, it’s best to stay in former Kuta Lombok, now Kuta Mandalika, or close by. My favorite place to stay is “Fabulous Place”. It’s a small Bed and Breakfast between Kuta and Gerupuk. Fabulous Place is more expensive than the budget accommodations where I usually stay, but it’s a very nice and quiet place. Not your typical Surfcamp or hostel. The guests are usually a bit older and more relaxed. No big parties, only an after-surf Bintang by the pool. And best, it’s only 5 minutes from here to Seger and maybe 10 minutes to Tanjung Aan. But more to the waves in a moment. 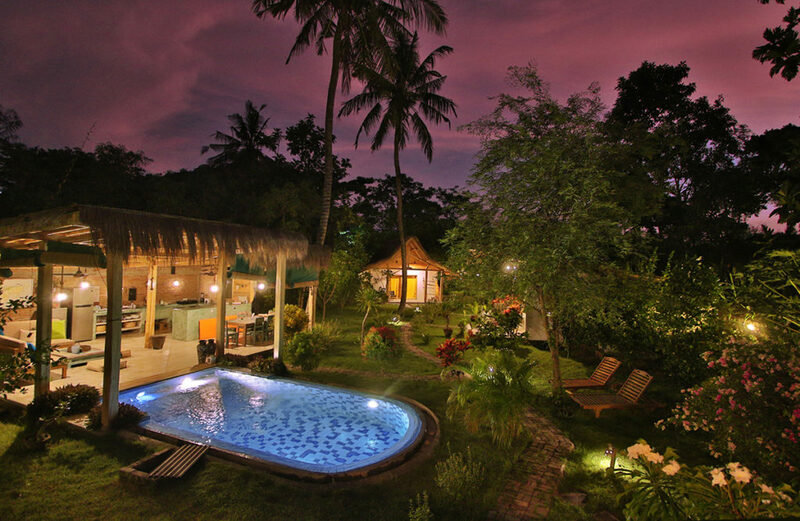 Kuta has a good number of restaurants and accommodation for every budget. Some surf camps, yoga studios, cafe’s and bars if you feel like party. You’ll find a couple of surf shops with a fairly good selection of surfboards (of course nothing compare to Bali), wax, boardshorts, bikinis, and what ever else you need for your surf vacation. If you want to surf Lombok, you’ll have a great number of different breaks to choose from. And best is, the countless reefs here are facing pretty much all directions. There is always one spot where the wind and the swell is right. Usually even a couple. Many of the reefs are exposed, and get fun waves, even with small swells. Others are further inside some bays and wake up with bigger swells. Within half an hour on your scooter, you usually find something to surf. And same goes for the kind of waves. If you want to surf Lombok, you’ll find something that suits you. From white water beginner beachbreak in Selong Belanak to super easy green waves in Inside Gerupuk, all the way to barrels and powerful waves like Air Guling and Mawi. Mawi is actually more of a dry season spot, but if the wind swings around, check it out. During wet season, not only the wind direction changes much, but also the size and direction of the swells are always different. This means you’ve got very good chances to surf various different waves within one or two weeks here. Shifty peaks at Seger when it’s small (also good for a sundowner or to start the party), or fat rolling waves at Outside Gerupuk. Perfect steep walls at Air Guling as soon as it gets a bit bigger. But make sure you know what you’re doing if you paddle out here. It’s really not a beginner spot, and you have to feel confident in “real” waves. 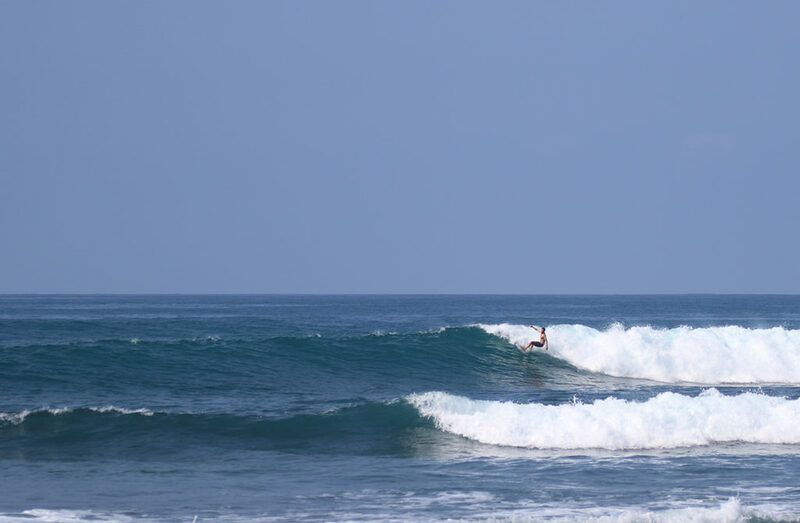 If you want to surf Lombok’s easiest waves, check out Gerupuk Inside or Don-Don in the same bay. Just drive to Gerupuk and take a boat. It cost 150’000Rp for up to 3 people. After that, 50’000Rp each (January 2019). Or go to Ekas once the swell gets big enough. Again by boat, but this time from Awang, and a bit more expensive. Or you make the paddle out to surf the left or the longer right at Tanjung Aan. You will love it! 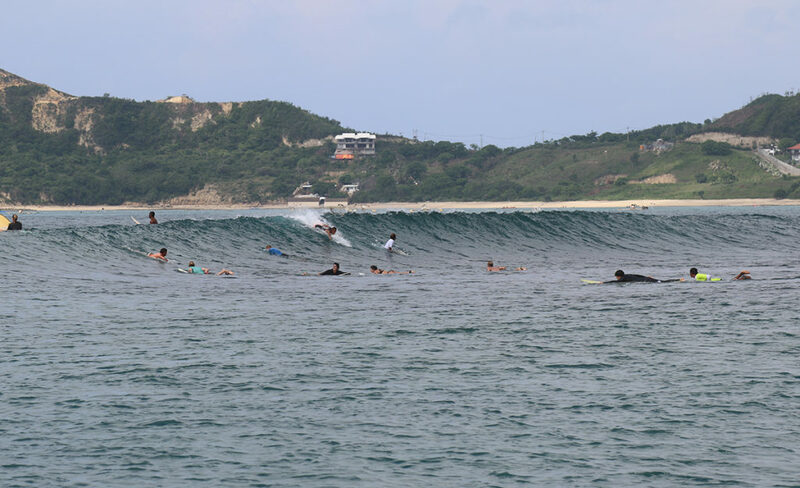 If you look at a map, you realize how many more possibilities south Lombok has for waves. These are just some of the best known and most crowded places. Go explore, and you’ll find more. Or maybe you get lucky, and these well-known places have more waves than people and you don’t even have to go and look further. I surfed some of those waves alone, or only with a hand full of others during January 2019! The kind of wave you will (but not only) find here. Slow, easy, fun. To surf Lombok is amazing! So many great waves, and the island its self is absolutely stunning! Rice fields like Bali 30 years ago, lush green hills and volcanoes, the most beautiful reefs and unreal sunsets, delicious food, and good roads (not everywhere) with little traffic. One last thing. Tourism is changing this part of Lombok fast. Talk to the people and get a feeling for the place. Some streets are still considered not safe at night, and a couple of places can be a bit dodgy to let your scooter unattended. But the people in your hotel can tell you where and where not. I heard a couple of bad stories, and sure, bad things can happen. EVERYWHERE. But I felt always safe, and would say: Use common sense and you should be fine too. Thanks again Fabulous Place for having us. Perfect location, healthy and delicious breakfast, and the best stuff I can think of. If this sounds like what you’re looking for, check out their SURF WEEKS this spring.